When it comes to finding success in this life, much is out of the individuals hands: luck, talent, privilege, connections. But one factor that can sometimes shift the balance is pure hard work. 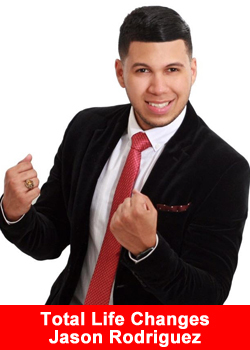 In 2012, at just 17, Jason Rodriguez was already taking his first shot at working in multi-level marketing (MLM). When that initial experience didnt work out, he ended up slogging through rough 12 hour days at minimum wage. But unlike many teens, Jason expected more, and was willing to take risks to get there. The Dominican Republic is a populous country, but in many ways the island is also very small. Jason discovered Total Life Changes when his mother was invited by a family friend to a meeting, and he counts Global Directors and above like JosÃ© Luna, Julio Lama, Ana Cantera and Stormy Wellington as acquaintances. Once hed accepted the TLC opportunity, his charmed first week was a harbinger of the success to come. According to Jason, the keys to his success are dreaming big (he also recently graduated college with a degree in architecture) and strong support from his family, his mother in particular. Within 18 months of joining TLC, Jason has already achieved one of his most ambitious goals: becoming the companys youngest-ever National Director. He reports his current income often reaching five figures per month; by comparison, the average monthly wage in the DR is just $350 USD. 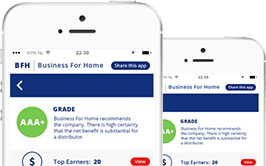 Jason cites NutraBurst, Iaso® Tea and Chaga as his favorite products, claiming that they help provide him with the energy he needs to build his expanding business. Hes behind a movement called #RichBefore30, working with young people to help transform them into entrepreneurs. Total Life Changes offers a diverse product portfolio of health, wellness and beauty products. President and Tea Executive Officer Jack Fallon created TLC over 16 years ago with a single product: NutraBurst®.